We went out last Sunday to pick up a couple of lamps we’d just purchased. 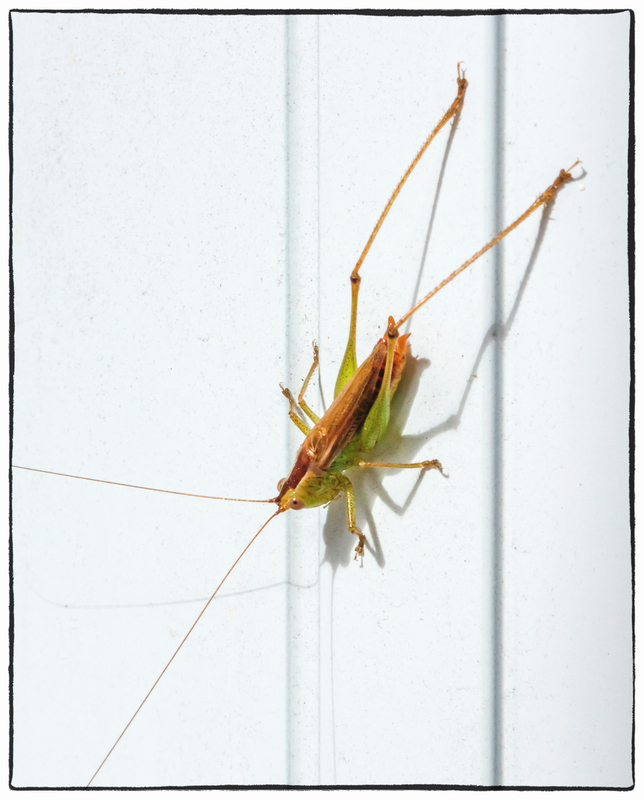 On returning home I noticed this colorful little guy on our door. I thought it would be relatively easy to get a picture, but no doubt observing my presence he started to move away. He didn’t jump off or fly away, preferring to just walk around on the door. It did make my job rather more difficult though. I liked the bright colors against the plain white of the background. This entry was posted in Sony RX100 M3, Wildlife & Animals. Bookmark the permalink.